Rewriting the rules of the road for automated driving — Wissel & Walsh Insurance, Inc.
Expect to see judicial, legislative and regulatory change in the near future as advancements in autonomous technology continue to roll out. Everything from licensing to criminal regulation will need to be analyzed as vehicles, rather than their human drivers, take more control over actual driving. The lag between technology and the law will be greater and arrive sooner than expected. Yes, truly driverless technology is more than a few years off, but automated driving is already here and is quickly being accelerated by most automakers. For example, vehicles today already stop automatically, maintain speed and have lane control options. Level 0: No automation. The driver maintains control of all vehicle operations at all times. Level 1: Function specific automation. One or more driving functions is automated, like parallel park assist or automatic breaking. Level 2: Combined function automation. Two primary control functions are automated and designed to work in unison, like adaptive cruise control and lane centering. Level 3: Limited self-driving automation. Full control of driving functions switches back and forth between the driver and vehicle depending on conditions. Level 4: Full self-driving automation. The vehicle performs all safety critical driving functions. The concept of automated vehicles as futuristic or coming “down the road” is largely inaccurate as many of the new product offerings are increasingly equipped with combined function automation, such as lane-keeping assist and radar-assisted cruise control as standard features. Many vehicles today are already operating at Level 2, with two automated functions working in tandem. In addition, depending on the traffic situation, some vehicles are operating at what is close to Level 3 automation. For example, in 2015, Tesla introduced version 7.1 of its AutoPilot software. Using forward radar, cameras and ultrasonic sensors already built into the current model vehicles, the over-the-air software update allows for automated highway driving including lane changing with turn signals, lane centering and breaking. Similarly, the 2016 Mercedes E43, expected to be released this summer, will be capable of automated highway driving including lane change, self-steering and speed control, only requiring a human driver to touch the steering wheel once every minute. Audi is expected introduce a 2017 model that will operate without the need for driver control up to speeds of 37 miles per hour. In addition, Level 3 commercial trucks have already been introduced. For example, Daimler's Freightliner Inspiration is operating on Nevada highways at Level 3. Opinions vary on when there will be functional Level 4 vehicles, but General Motors recently announced intentions to operate a fleet of Lyft vehicles in an unnamed urban environment in 2017. One core problem automated vehicle technology presents is the conflict between new technology and the existing rules of the road. Almost all of the rules, regulations and laws governing the manufacture and operation of vehicles assume that a human will operate the vehicle from behind a steering wheel. For example, vehicles are designed and approved for sale only after it is determined that they can be operated safely by a human driver. In addition, drivers are only allowed to operate vehicles once they have been tested and licensed by the state. Even something as mundane as speed limits are currently based on the time it takes the average human driver to perceive, react and safely halt a vehicle when presented with an obstruction. The Federal Motor Vehicle Safety Standards require that simple functions such as windshield wiper controls be within reach of the operator and be manually controlled. There are also strict rules and regulations in place, including criminal penalties, for operators driving under the influence of alcohol. Furthermore, civil and criminal liability in auto accidents is measured at least in part by driver accountability for insuring a vehicle is operated safely based on roadway conditions. 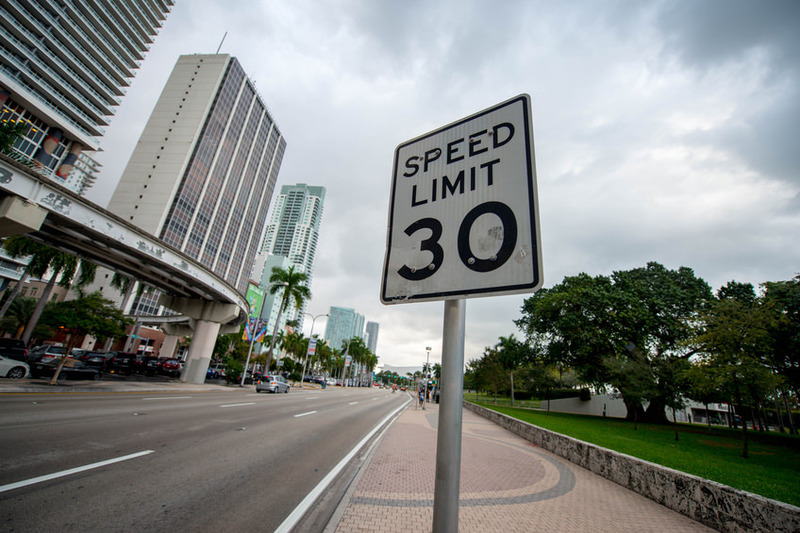 Are the same speed limits necessary if automated vehicles can perceive obstructions better than human drivers and stop vehicles more quickly? Does a human occupant of a vehicle have to be licensed if he or she is not in control of the vehicle? Does it matter if the human occupants are impaired by medication, alcohol or a physical impairment? If a driver is operating a Level 3 vehicle, can he or she be found negligent for failing to override the car's artificial intelligence and assume control in an emergency situation? Without concrete answers to these questions the full benefits of autonomous driving technology cannot be unlocked, posing risks to the speedy adoption of the technology by consumers. The rules also need to be rewritten to ensure that the same rules that seek to enforce safe human driving now do not pose roadblocks to the continued development of automated driving technology. For example, several states have laws that require a driver to keep one hand on the wheel while a vehicle is in motion. Such a law, while relatively simple on its face, is in fact complicated when applied to automated vehicles. Who is the driver of an automated vehicle, the vehicle or the human occupant? If it is the vehicle, then the law cannot be applied as written. On the other hand, if the “driver” is still the human occupant, the law can be enforced, but has no value as the “driver” is not actually in control of the vehicle. Furthermore, this law assumes that a vehicle needs a steering wheel. This is just a single example of the rules, regulations and laws that, through their focus on a human occupant as the “driver” of the vehicle, could slow or derail the rollout of semi- or fully-automated vehicles. In order for automated technology to continue to advance at a rapid pace, it will need commercial acceptance, which will be driven in large part by consumers who appreciate the safety enhancements and believe that our legal system will embrace this technology in an unrestricted manner. What is the point of owning a vehicle that can do most of the driving when the law does not allow its operation? The rules regulating drivers’ conduct need to be revised and clarified to embrace automated driving technology. Delay in the implementation of appropriate standards will create uncertainty for those who manage risk and will bog down judicial processes when automobile incidents occur. States such as California that permit the testing of fully automated vehicles, have begun to release proposed regulations aimed at creating rules specific to automated technology. 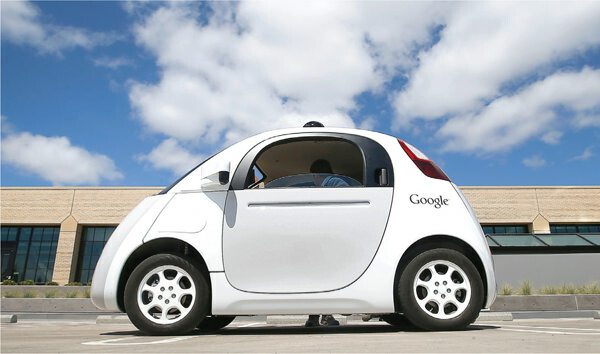 Uniformity of technology: Autonomous vehicle technology is still evolving and as such the lack of uniformity among manufacturers presents obstacles to designing a cohesive legal or regulatory scheme for the vehicles. Will fully automated vehicles need steering wheels? Will they need human occupants? The answers to both questions are most likely no, but those requirements may vary between manufacturers and models. Until general uniformity of technology exists across all vehicles, it will be difficult to rewrite the existing rules since they could vary for each manufacturer. Uniformity of law: Existing regulation of the manufacturing and operation of vehicles exists on the federal, state and municipal level. Each level of government has its own sphere of jurisdiction and promulgates its own laws, rules and regulations that impact vehicles and drivers. To successfully rewrite the existing laws to support automated technology requires revising laws at each level in some circumstances, and ensuring that those revised laws do not conflict. There are already arguments over who should regulate autonomous driving technology, individual states or the federal government, and the issue is subject to extensive lobbying efforts on the part of manufacturers. Uniform laws on all levels of government are the only way to ensure consumer peace of mind and adoption. Timing: When should these laws and regulations be revised? The simple answer is as soon as possible, but the effort necessary to institute these revisions is likely to take time. Moreover, although autonomous technology is already on the road, many people view the technology as still years away, lessening the perceived urgency for legislative action. Finally, the need to create laws that address autonomous technology, like those already on the road today, may require their own specific rules that have the potential to further delay the creation of laws aimed at fully automated vehicles. While these factors represent only a sample of the potential roadblocks affecting the creation of new rules to support automated vehicle technology, there have already been positive developments. 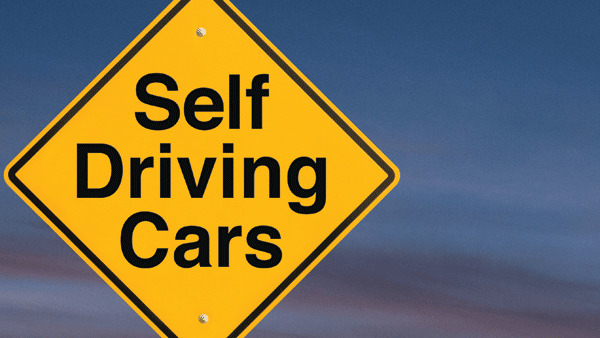 States such as California that permit the testing of fully automated vehicles, have begun to release proposed regulations aimed at creating rules specific to automated technology. Moreover, heavy lobbying from auto manufacturers at the federal level make it likely that some federal regulation of autonomous vehicles will occur. How will cars be programmed to ensure that they follow each local ordinance and obey permanent or temporary signs? In addition to basic traffic regulations, insurance regulations will need to be examined as well. For example, some states have mandatory premium discounts for items like anti-theft devices, seat belts, airbags and anti-lock brakes. With advancing technology, these regulations are stale and need to be re-examined. While stakeholders in the automotive and insurance industries have begun to think about the U.S. legal system from the context of automated driving, there is still much left to be addressed. The focus of regulation and legislation has been on the testing of fully automated vehicles, while the more basic rewriting of the rules of the road relating to licensing, driving standards and negligence have largely been left unaddressed. Given the automated technology on the road today, it is imperative that these rules be rewritten as soon as possible. Advancements in automated technology have the potential to provide important benefits to consumers. Autonomous technology can make the roads safer, reduce traffic, increase road capacity, reduce energy consumption and pollution, and give individuals who might not otherwise be able to drive autonomy and mobility. The U.S. legal system should not become the pothole that impedes the progress these new technologies afford. Expect to see judicial, legislative and regulatory change in the near future as advancements in autonomous technology continue to roll out.